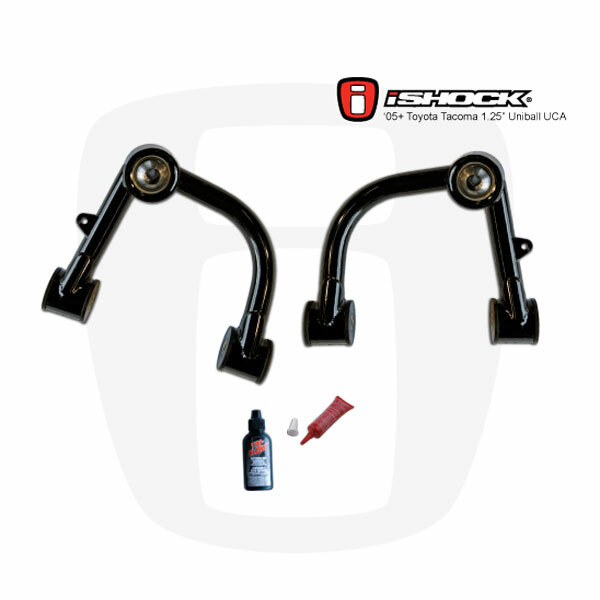 Back by popular demand, the iShock Toyota Tacoma Chromoly UCA's are in stock! 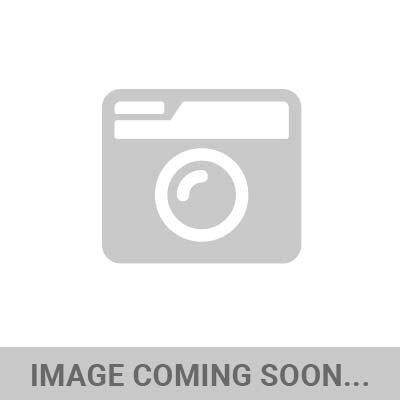 These arms are true race quality parts featuring TIG welded chromoly construction with massive 1.25" uniballs for maximum articulation and strength. The kit includes all nescesary race spec'd hardware...literally every nut, bolt and washer to complete the build with even Loctite and a bottle of Tri-Flow lubricant. These arms correct the inherant problems with castor adjustment when lifting or leveling the front as well as makes room for massive 2.5" coilovers if badass is on the menu. This system is comparable to may of the high end high dollar kits but at a fraction of the price...It pays to shop manufacturer direct! Oh and lets not forget, made in the USA baby! Click the pic to read all about this proven system. And here's the best part, we've teamed up with Radflo too package their amazing mid-travel shock package with the iShock UCA's to offer you the very best value and performacne in high end Toyota Tacoma suspension! The entire system, both front and rear is on sale now for less than 2k with FREE shipping. Check it out! If you dont like our site, we wont take offense, these kits and more are available in the iShock ebay store!